Not sure what to wear for the first day of school? 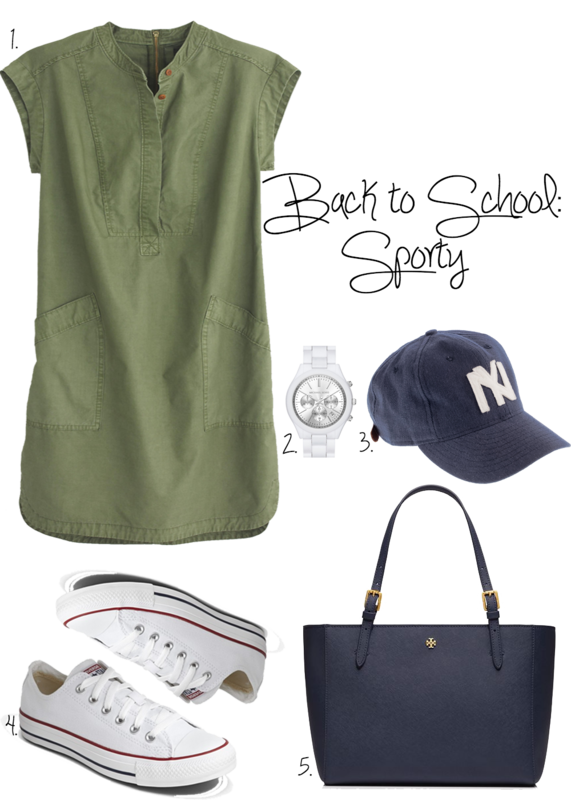 Well if you want to stay comfy and casual, go with this sporty laid back look! I adore this dress and may have to splurge on it! I know J.Crew Factory has a similar one just a little different. I am still not sure what my back to school look is going to be yet, I have to figure out what the weather will be like first, but I will probably have a whole post about it!